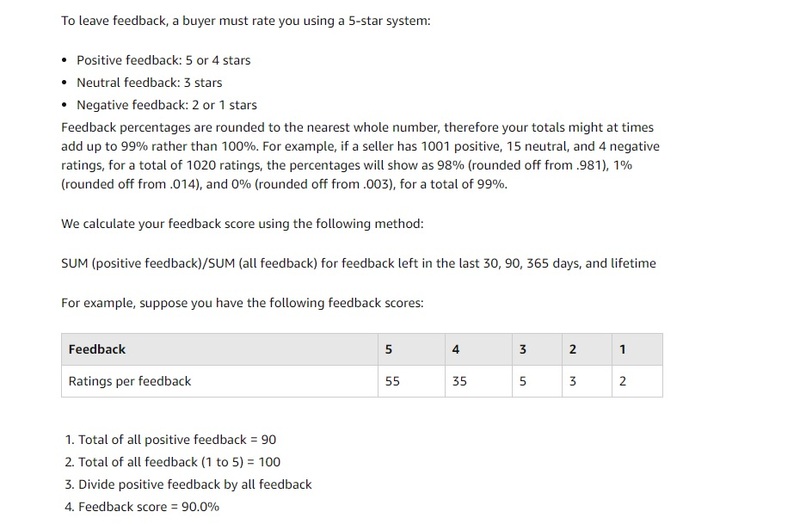 Seller feedback is an important metric for amazon sellers, nobody wants negative feedback! Most sellers don’t realize that there is a way for you to remove negative feedback that shouldn’t be there. 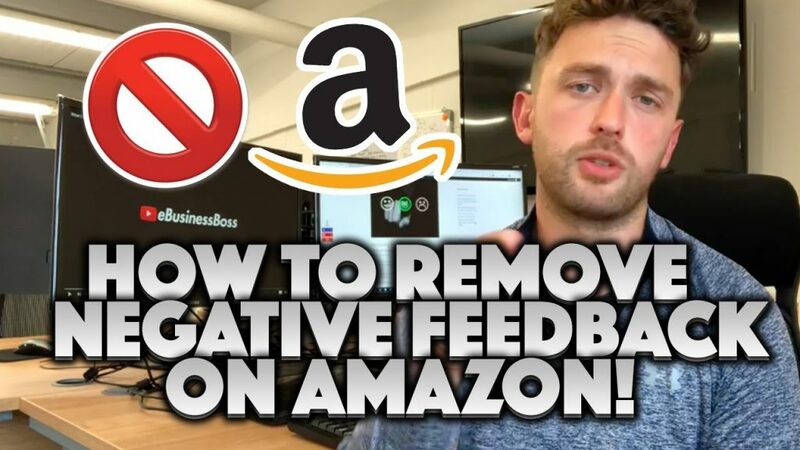 Today i’m going to show you how you go about removing feedback on amazon, i’ll lay out the process step by step. As a bonus, at the end of the article i’m also going to show you the method i use to grow my positive feedback. The amazon platform is built around customer experience, shoppers are free to leave a review as well as feedback on the specific seller. The typical amazon seller will be more interested in the product review aspect, after all a customer is much more likely to buy a product with a 4.5 star rating than one with a 2 star rating. Product reviews are important, but managing product review levels is a different conversation all together. Third party sellers like you and I are a huge part of amazon’s success, this means that amazon need to know about the good and bad sellers. To much negative feedback could result in suspension of your amazon account and buyers may well look at your seller feedback rating before they commit to a purchase. Did your order arrive on time? Did the item’s condition match the seller’s description? Your customers will have the option to leave a comment, if they wish. These comments will be displayed on your seller profile, alongside the relevant feedback rating. Every third party amazon seller has a seller feedback rating, this is displayed as a five star rating and a percentage. You can see that amazon do not count your “neutral” feedback towards your positive percentage score, because of this i treat it as negative feedback and i will try to have it removed. Now that the boring bits out the way, let me show you how i go about removing feedback on amazon, as a seller this can be a huge advantage. Unfortunately at some point you will probably receive negative seller feedback, the good news is, there are ways for you to get it removed if you feel that it shouldn’t be there. Customers are supposed to follow particular rules when leaving seller feedback or a product review. Amazon understand that sometimes a buyer will leave feedback that wasn’t necessarily the sellers fault. 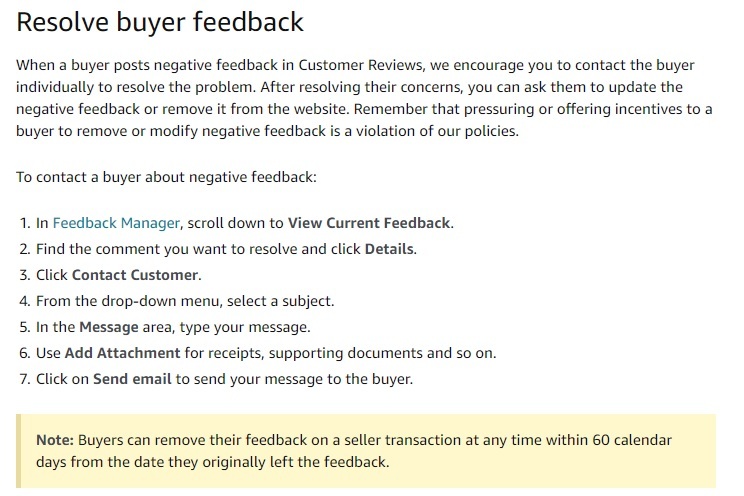 Amazon has a list of circumstances in which they will remove the negative feedback, if the feedback is removed it will also be removed from your overall score. The last point is of particular interest, i say this because in the past i have received a lot of product reviews written as seller feedback, there is a potential upside to this that i will explain in more detail later on. They do elaborate on this point by saying that they will not remove the feedback if the comment is both a product review and feedback about your service. Now if you think you have feedback that falls in line with the above criteria, you will want to submit an amazon feedback removal request, don’t worry i’m going to show you exactly how to do this. For FBA Sellers, the method i’m going to show you has a pretty high success rate, so even if you are unsure you might want to submit the request anyway. We live in a time where customer feedback has a huge impact on your business, and so it should! We are all consumers in some way, if you want to build a business for the long term you should be focusing on providing top quality products, alongside an exceptional level of customer service. With that being said, as an FBA seller you need to take every advantage available to you. 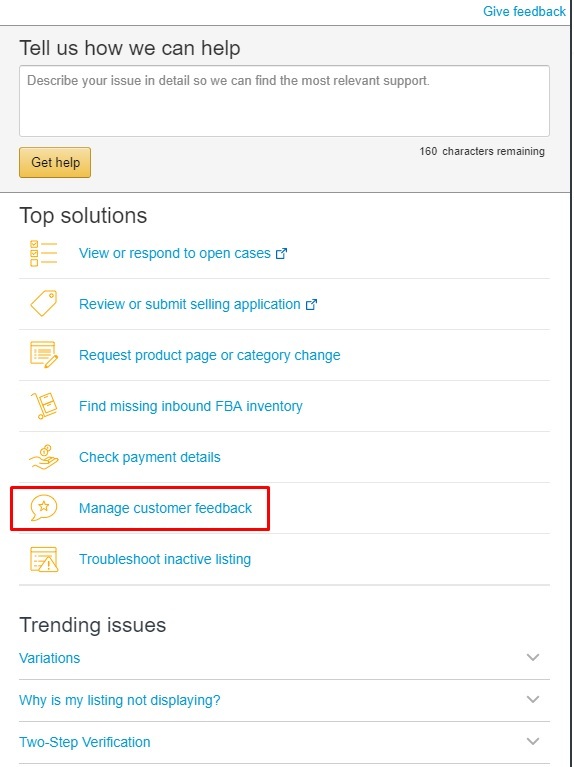 First things first, Log onto your amazon seller central and head over to the feedback manager page. To find this page, hover your mouse over the main “performance tab”, then you’ll see “Feedback” as one of the drop down options. Find the negative feedback and copy the associated order number (I’ve highlight this section with a red box below). Next up you need to click on help > contact us (You’ll find this in the top right hand corner of seller central). Once you’ve done this click on “selling on amazon” and you’ll be shown the following screen. Click on “Manage customer feedback”, you will then be shown another screen. Here you should paste in the relevant order number into the “Order ID” box (I’ve highlighted with a red box) then click the next button to move onto the next screen. 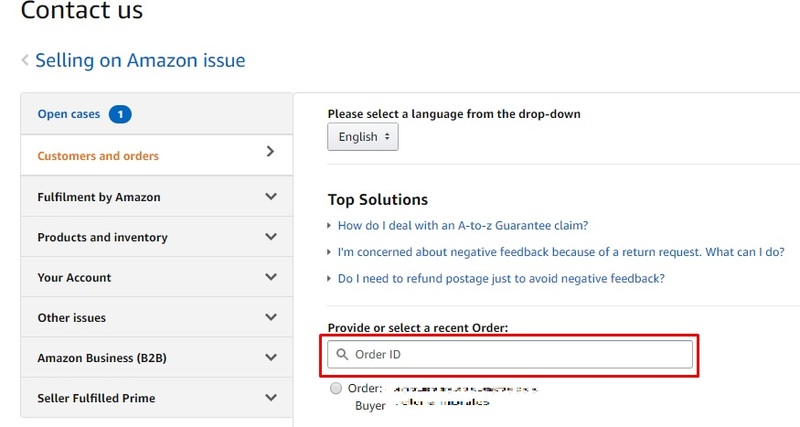 Next up amazon is going to give you a list of potential options, you will want to select the “Customer Feedback Removal Request”, if you can’t see the button you may be looking at an incorrect order, the option is only available for order ID’s where the buyer has left feedback. Press the “Next” button to move onto the next screen. 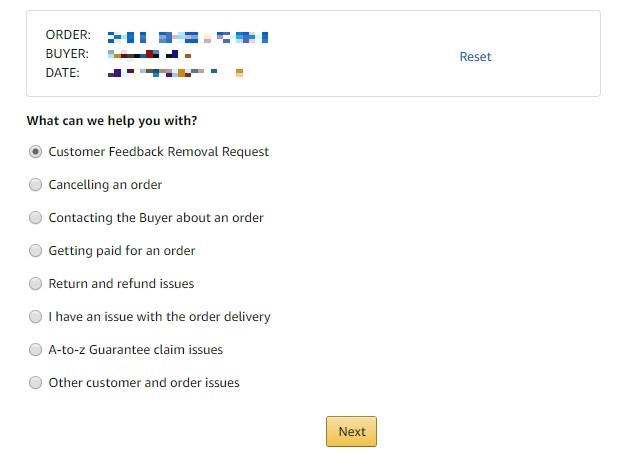 On this screen, amazon will show you the relevant feedback, after you’ve confirmed that it’s the right one you’ll be asked about the reason for removal. You’ll see that the above options line up with amazon’s guidelines, select the correct checkbox and leave a relevant explanation within the additional information box. Don’t go over the top with information, keep it short and sweet. Amazon are only interested in factual information, so don’t get emotional. I usually say something like “Customer has left a product review by mistake” etc, etc. Take your time and double check to make sure you are providing the right information, then click the send button and a case will be created within your amazon case log. If you are lucky, it may be resolved immediately but a lot of the time a seller central agent will have to review and take action. You’ll receive a message to let you know the outcome of each individual case. This isn’t the only option when removing feedback on amazon, in some cases amazon will remove it for you. As a amazon seller, you will know that the companies systems are constantly changing. 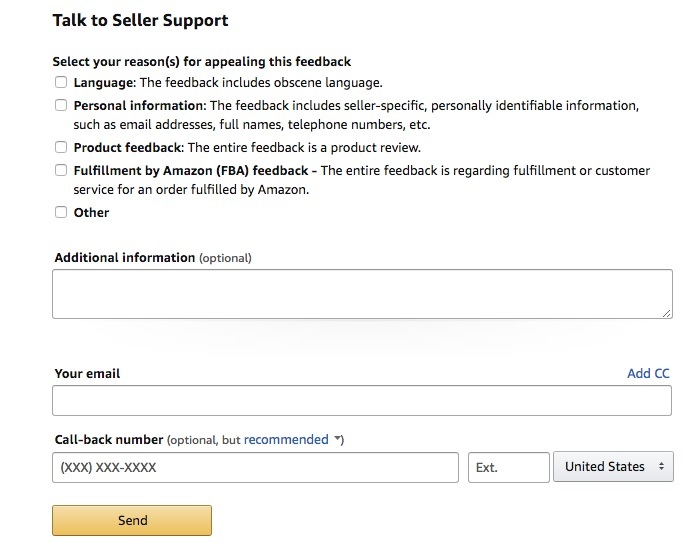 Managing feedback is no exception, here is an update on how you can remove feedback on amazon. Log onto amazon seller central and navigate over to the “Performance tab”. Hover the mouse over and click on “Feedback” from the drop down options. It is actually a little easier with this method, as you can see in the screen shot below there is an action button next to the offending feedback (I’ve highlighted in a red box). All you have to do is click the action button, you will be shown the following options. All you need to do here is click the “request removal” button, again i have highlighted in a red box. If the feedback doesn’t comply with amazon’s policies it will be automatically removed. Sometimes amazon won’t approve the removal automatically, you will have to wait for a service agent to check over the request manually, this doesn’t normally take much longer than 24 hours. If amazon automatically remove the feedback, you will be shown the following. It is very simple to do, if you don’t want to manually check for negative feedback yourself you can use something like feedback genius, they send you notifications whenever you receive negative feedback or a negative review. Ok so amazon won’t actually remove it, they will strike a line through it and take responsibility for it. This also means it won’t go against your overall seller rating. If you are a FBA seller, amazon will strike through feedback if the comment made relates specifically to fulfillment, this makes sense as amazon are handling the fulfillment side of things, their mistakes are out of your control. If you are a merchant fulfilled seller, things are slightly different. The comment made by the customer needs to relate to a late or undelivered order, but it must have been sent on time using amazon’s buy shipping services. Amazon hadn’t offered merchant fulfilled strike throughs until May 2018. Whether you are a FBA or MF Seller, a strike through of negative feedback can only be good for your account health. There are other circumstances in which amazon may strike through feedback. If a customer receives a damaged item (when the same item was checked into an amazon fulfillment center in good condition, most of the time amazon will take responsibility. If your customer receives an incorrect variation or version of your item, such as colour or size. Amazon may well take responsibility if they have picked and packed the wrong item. Alot of the time Amazon will automatically strike through feedback that is covered under one of the above conditions. However, if they do not you can follow the same removal process outlined above. If the feedback hasn’t been removed using the manual or strike through method you do have another option. Pressuring or incentivizing a customer to remove or modify negative feedback is a clear violation of amazon’s terms of service. If you genuinely feel like the negative feedback shouldn’t be there, you can contact the customer to try and resolve the issue. Let’s look at amazon’s policy on this. When it comes to contacting customers, i always tread very carefully, it’s not worth upsetting the beast that is amazon. How you go about this is up to you, talking a customer into removing feedback on amazon should be done with care, a genuine apology is always a good place to start. If your customer is happy to remove the feedback but they don’t know how, you can direct them to this amazon help page. Anyway, enough about that lets move onto my final method of getting feedback removed. If none of the above methods have worked for you, there is another option. Through amazon’s feedback manager you can respond publicly to all of your feedback, now before doing this you need to ensure you take all emotion out of the equation. Having a public argument with a customer is only going to damage your business and online reputation, like I’ve said the best place to start is an apology, even if it wasn’t your fault. The only exception to this rule is the legal implications of a comment, after all the comment is there for everyone to see. If you want to respond publicly, here is how you do it. Using feedback manager, find the offending feedback. You will then need to click on the “Actions” link, next to the relevant order. Now, unless the customer chooses to remove the feedback this will not affect your overall feedback rating, this is also not the place to resolve the buyers issue (this needs to be done privately via email). Once you have submitted a response, you have the ability to edit but you cannot delete it. Remember, even if you feel angry you are a professional business owner, you must be polite! Anyway, now these methods are out the way i’m going to show you how you can go about getting more positive feedback. In my opinion, one of the best ways to counteract negative feedback is to get more positive feedback. Amazon power sellers understand this, so let me show you how it’s done. You can reach out to buyers individually, check in with their order and ask them to leave feedback on their experience. If you are trying to scale your business into a much bigger business you are going to need to automate this process. I use a paid buyer-seller messaging service for a few reasons, but one of which is making sure my customers receive “personalized” messages to encourage positive feedback amongst other things. When i first started my amazon business, i spent alot of time learning how to find profitable products, but that is only half of the battle. As your sales start to increase you are going to need to spend time ensuring your communication processes are as streamlined as possible. I’ve used other messaging services in the past, but feedback genius is without a doubt the best I’ve used, let me tell you why. If you understand how to use services like feedback genius you can dramatically improve your amazon business. Not only can you attract positive feedback but you can also increase your chances of building customer loyalty and in the long term product reviews. Feedback genius allows you to automate the buyer-seller messaging aspect of your business. Feedback genius provide you with professionally crafted, message templates along with negative feedback notifications. As they are an amazon partner you have the ability to seamlessly integrate with seller central. The best thing is the pricing level, it starts at $0 a month for up to 100 emails. This means you can test it out and see the results for yourself, i always try and do this before jumping into a purchase. As your orders grow, so will your messaging count. This means you will only move onto a high volume tier/pricing pan when you are selling more units. You can use the following link to get yourself a free 30-day trial (No credit card info required). I have used feedback genius for a long time, my keen interest in marketing principles and techniques, have helped me to get the most out of the software. For me the goal is much more than just attracting more positive feedback, i want to ethically get more sales and reviews on the amazon platform, but how do i do it? For me i use feedback genius to provoke a conversation between me and my customer, i do not ask them to leave feedback or even a review within the first email i send. I like to ask the customer a question, to provoke a conversation between the two of us. Using feedback genius i can attach something of value to help the customer get the most use out of the product, in some cases i will attach a “ebook” or “cheatsheet” to help them get the best use out of the product they’ve bought. I’ll ask the customer if they have received the free bonus, or if they are receiving my emails ok. Each of my subject lines are crafted with great care, a good subject line can make a huge impact on your open rate. Remember, statistically the more people that open, the more responses/actions you will get. Feedback genius has a bunch of other features i use to maximize the individual value of each customer, did you know you can use their advanced filters to send customized emails to repeat customers? I’m not sure of any other amazon email automation software that does this. If you want to create a long term business you need to focus on building a loyal customer base, to achieve this you will need to build a brand, but that’s a conversation for another time. I have written a full review of feedback genius have a read through and see what you think. 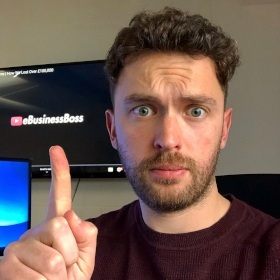 You’ll find even more tips and tricks on how i use the software to grow my amazon business. Anyway, I hope you’ve found this useful.